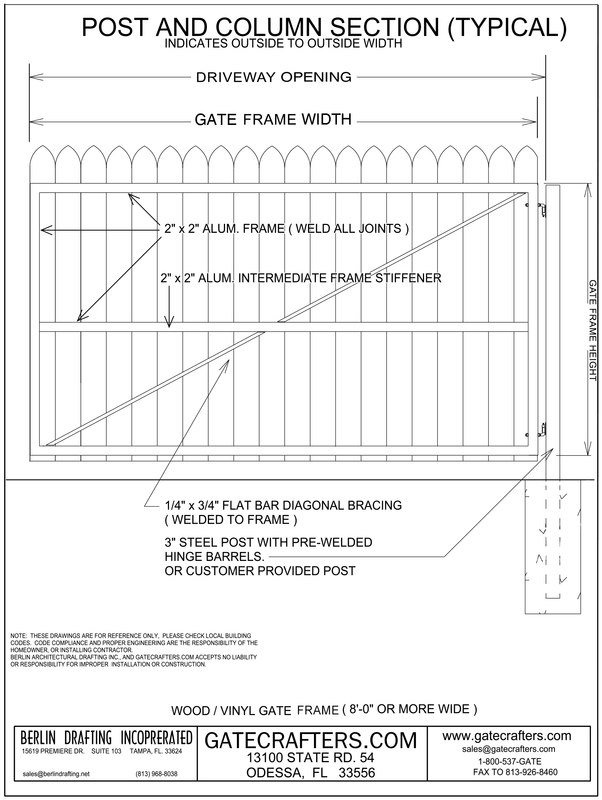 GateCrafters.com has created an easy DIY multi-sized vinyl/wood slat gate frame kit. 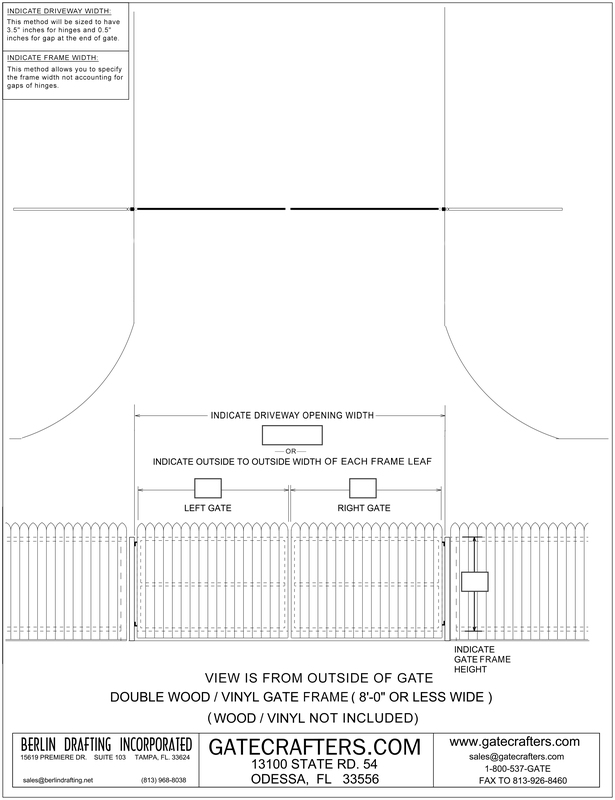 Use the Gate Crafters Vinyl/Wood Dual Gate Frame Kit to build a vinyl or wood single gate to replace an existing gate, make your gate easy to automate or match a desired look. Through years of automation experience we have heard one resounding gripe from our customers. The chain link, vinyl, wood or 3 rail gates found in local store and fencing suppliers are just not built for the rigors of automation. 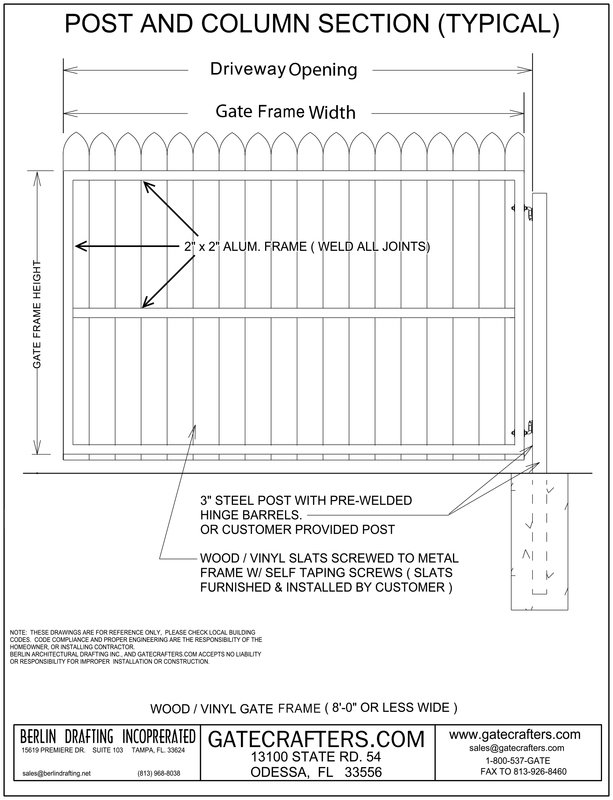 All of our gates are custom built to the exact customer's specifications (height and width), welded on all joints and are built with 6061-T6 aluminum: known for its strength and resilience. 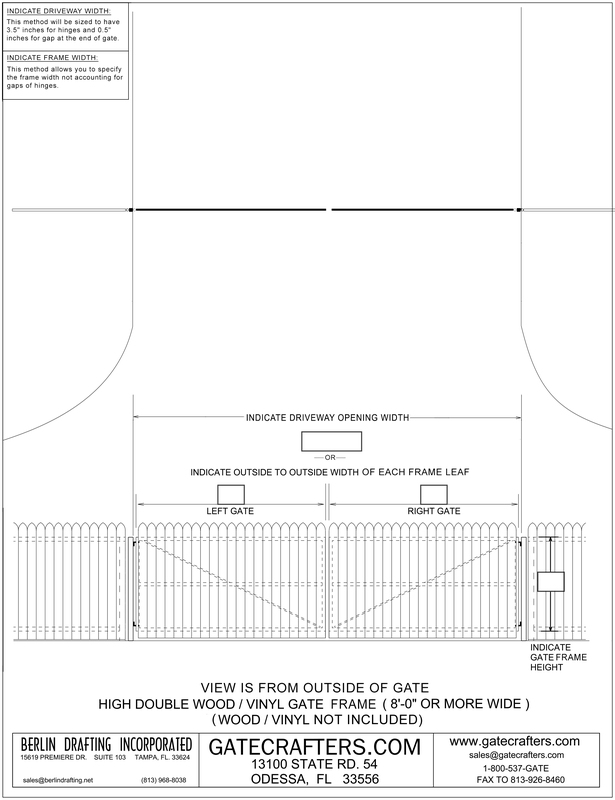 PLUS our gates all come with the necessary component of automation including horizontal supports matched to the mounting need of all common gate openers and ball bearing hinges, made to make your gate swing smoothly and freely through years of usage. Use this gate kit by attaching the vinyl or wood slats (slats not included) to the 2" x 2" aluminum frame and aluminum intermediate frame stiffener. It attaches on one side to allow a multitude of vinyl or wood sizes and styles. Ball bearing hinges are included in this kit to make attaching the gate to a post (post not included, post can be purchased with the hinges welded on to the post) a breeze.